Beer #1121 is a saison brewed by Brasserie St-Feuillien in Le Roeulx, Belgium. An enjoyable saison, yeasty, fruity, and slightly spicy with a subtle honey flavour. The bottle size is 750ML with an alcohol content of 6.50% (containing approximately 3.80 AU / 4.90 UK standard drinks), and it cost me $12.99. 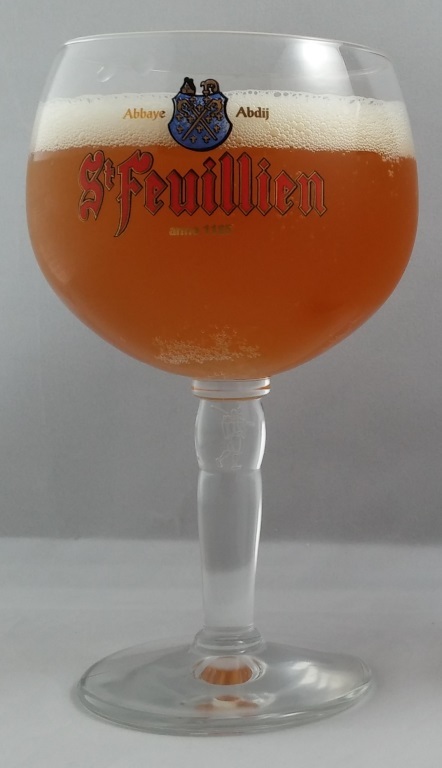 St-Feuillien’Saison is what the Belgians call a beer of the terroir, a traditional farmhouse ale with all the rich savour of the fertile land of southern Belgium. Saison, a warm golden blonde ale, is a top-fermented classique. Thanks to secondary fermentation in the bottle, Saison has an unmistakable flavour full of rich nuances and a slight tang. 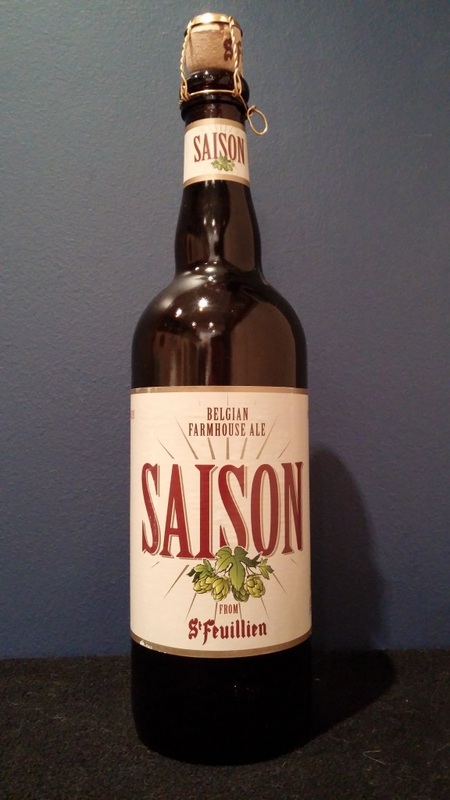 Saison, the latest in a long line of top-quality St-Feuillien beers, went into production in March 2009 at the request of the US market, where there is a big demand for this kind of ‘hoppy’ beer that is so emblematic of the rich Belgian tradition. As soon as it was launched in New York on 11 April, Saison was an instant success with consumers across the Atlantic, so much so that the launch of this new St-Feuillien product in Belgium was delayed by several weeks.